One of South Florida’s oldest law firms is expanding its legal team and broadening its commitment to serving the region. Fowler White Burnett has grown significantly in the past two years and will be adding more attorneys in 2014, according to Christopher E. Knight, managing shareholder. “Our clients are back on their feet, and that’s led to increases in commercial, banking and securities litigation, as well as a recent uptick in construction litigation,” says Knight. “We’re also seeing growth in other practice areas, such as transactional real estate, and we are adding a restructuring and bankruptcy practice in 2014.” The firm also previously expanded its tax practice, adding shareholder Richard J. Razook, who has over 35 years of experience in international business and investments. With offices in Miami, Fort Lauderdale and West Palm Beach and a team of 80-plus lawyers, Fowler White Burnett blends traditional values and innovative thinking. “Our full-service firm provides client-focused, proven legal strategies and business solutions to domestic and international clients across a wide spectrum of industries,” says Knight. 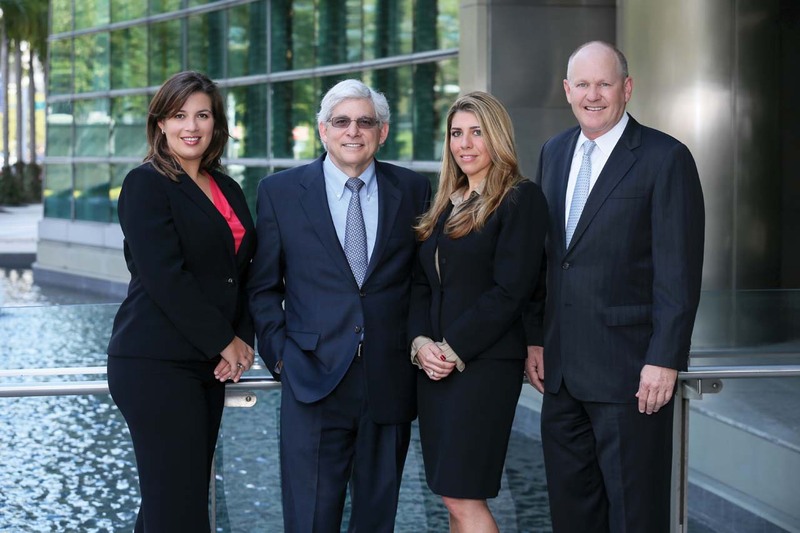 The firm’s leadership team includes managing partners Richard A. Wood and Edward J. Briscoe, and executive director Robert D. McDougal, IV. Seventy years ago, Florida’s first American Bar Association president, Cody Fowler and legal legend Morris White formed a partnership in Tampa, Florida. With the addition of Henry Burnett, the founders led a successful expansion southward, opening a new office in Miami in 1950. Burnett served as the first president of the Florida Defense Lawyers Association (FDLA) in 1966 and helped establish the Dade County Defense Bar Association (DCDBA). He also served as president to the International Association of Defense Counsel in 1976. In 2006, the FDLA established the Henry Burnett Trial Advocacy Award in recognition of the “indelible impression made by Mr. Burnett on the defense practice throughout the State of Florida.” Now the firm’s general counsel, Burnett received the Judge Joe Eaton “Unsung Hero” Award from South Florida’s federal judges in 2012 as the attorney who’s given the most to the legal community. Knight, who has been with the firm for more than 27 years, says Fowler White Burnett attracts attorneys who are looking for a “permanent home” in the legal field where they can grow their practices and contribute to the community. “We look for attorneys who plan to be here for their entire career,” he adds. “That doesn’t always happen, but we have a high percentage of career attorneys for a midsize South Florida firm.” Another longtime shareholder, John Strickroot, has more than 50 years of experience providing counsel on corporate, real estate and trusts and estates-related matters to some of South Florida’s largest and most established companies. In 1970, Fowler White split into two independent firms: Miami-based Fowler White Burnett and Tampa-based Fowler White Boggs, which has an office in Fort Lauderdale. “Our two firms have a good relationship, as they specialize in more transactional and regulatory work, while our firm continues to grow in more diverse areas,” Knight says. Today, Fowler White Burnett offers its clients a deep roster of seasoned legal professionals who practice in numerous disciplines, including aviation, commercial litigation, bankruptcy and restructuring, maritime, health care, labor and employment, insurance defense, real estate and white collar crime. The firm’s traditional areas of strength remain in transactional commercial litigation and maritime and include professional malpractice for organizations like the University of Miami, Cleveland Clinic Florida and Nova Southeastern University. Fowler White Burnett is the only South Florida member of ALFA International, a global network of 145 independent law firms. Member firms must meet high standards to be part of the ALFA International network and are well respected by their peers in the legal and business community. “For our clients, that means having access to talented, client-focused legal services beyond the state of Florida,” says Knight. This fall, Elizabeth Pryor Johnson, head of the firm’s Labor & Employment Group, was elected to the ALFA board of directors. Knight says that Fowler White Burnett is as committed to the future of South Florida as well as to the firm itself. “We encourage our attorneys to devote time and resources to the community in which we live and work through FWB Connects, our community involvement initiative,” he says. For example, Michael J. Drahos, shareholder in the West Palm Beach office, recently chaired “Wicked at the Wanderers,” an event that raised over forty thousand dollars, with net proceeds benefitting the HELO Foundation, which aids in the transition of veterans returning from overseas to civilian life. “They actively participate in civic and charitable organizations that shape our community and drive positive change,” Knight says. This past holiday season, attorneys and staffers led by Kayla Riera-Gomez came together to provide gifts to over 60 children in foster care through the Holiday Toy Drive benefitting Our Kids of Miami-Dade/Monroe, Inc. Riera-Gomez is the current president of the Coral Gables Bar Association and is actively involved in the community. In addition to the involvement of individual attorneys and staffers, the firm recently chose Habitat for Humanity as its main charitable project for 2014.